Despite the proliferation of various techniques to secure, restrict, or segment the network, the number of security breaches, denial of service events, and other cyberattacks continue to rise. In fact, Cybersecurity Ventures predicts that damage related to cyber crime is projected to hit $6 trillion annually by 2021. 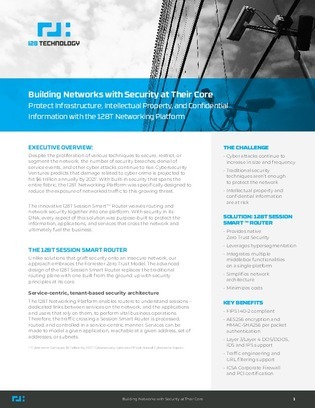 Learn how you can get a network with native security controls that replace obsolete perimeter-based solutions, and protect the assets that are critical to your success in this white paper.